This was the building blocks to this blog as I struggled to overcome my own personal challenges nearly 10 years ago. I’m reminded of this while listening to the upcoming release, Dig in Deep from Bonnie Raitt due on Feb 26th. Raitt went though her own dark moments, wrestling with the loss of her father, mother and brother in a short span of time. The album is Raitt’s 20th solo release, the second on her label Redwing Records, and is a look into those darker moments in life. The journey begins with the boisterous foot stomping “Unintended Consequence of Love.” A frisky robust groove with sweltering slide guitar and awesome keys. The song co-written with New Orleans keyboardist Jon Cleary beckons you to reach for the repeat button – until you hear the album’s second track, “Need You Tonight” – On this song Raitt mixes things up with a sensual and funky rendition of the INXS hit. One of my favourites on Dig in Deep is the album’s third track, “I Knew.” There’s something about the beat, along with Raitt’s expressive slide and lyrics that hooked me. There’s a lot of talk about this being one of the best Bonnie Raitt albums in a while, and with brawny shuffle’s like, “What You’re Doin’ To Me,” it’s hard to deny. Raitt’s pulsating version of the Los Lobo’s song “Shakin Shakin Shakes,” will have you grooving on the spot, and is sure to be a fan favourite on her upcoming live tour. Things slow down a bit with the cover “Undone,” by Texas songwriter Bonnie Bishop, who also wrote “Not Cause I Wanted To,” on Raitt’s previous album Slipstream in 2012. The album closes with two deeply personal ballads, “You’ve Changed My Mind,” and “The Ones We Couldn’t Be,” a final reflection on loss, relationships and regret. 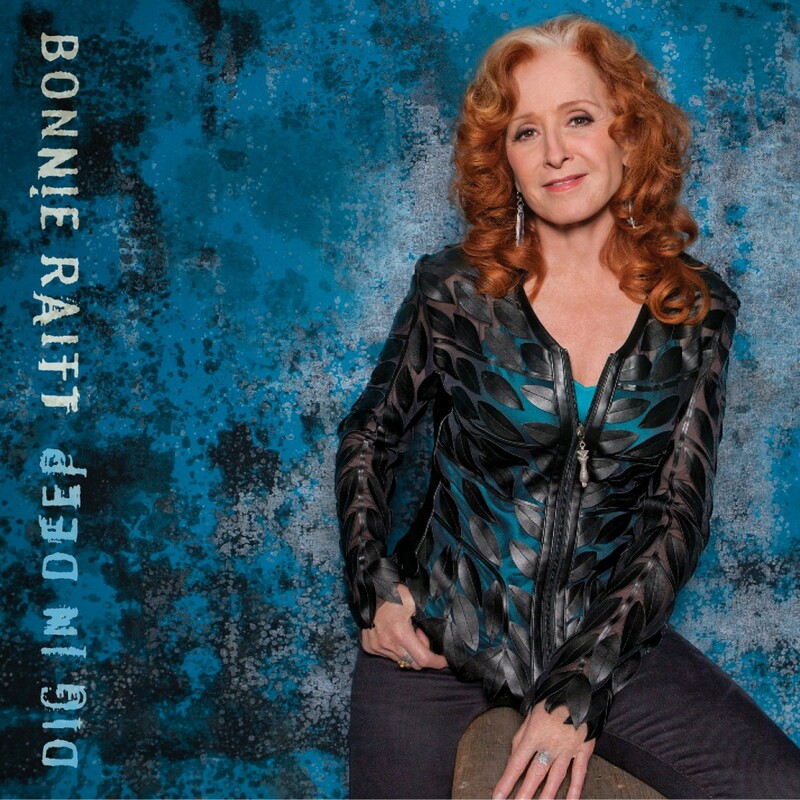 This latest release from Bonnie Raitt is truly a special album. Every song on this masterpiece gleams with musical finesse. Raitt manages to Dig in Deep with songs of anguish, remorse and love lost with catchy heartfelt retrospect. And in the end, comes through with one of her best album’s in the past 20 years – Her band consists of George Marinelli on electric guitar, keyboardist Mike Finnigan, drummer Ricky Fataar and bassist James “Hutch” Hutchinson. The musicianship on this album is remarkable. It doesn’t happen often enough, but sometimes an album comes along that strikes a chord in each and every one of us. It’s becomes nourishment for the soul and a healer for the tougher moments we go through. This is the best album I’ve heard this year, and it just may be for a long time to come. Are you a Bonnie Raitt fan? Do you have any moments captured in time where her songs play like a soundtrack in your life? Please feel free to share your thoughts in the comment box below.